People come to Hawaii in part because of its awesome weather. It’s warm here, but never unbearably hot; it rains, but usually only in passing showers; the breeze cools you down but doesn’t have a bite to it. These conditions persist year round: the yearly highs and lows fluctuate no more than 10 degrees Fahrenheit, and near-constant easterly winds keep the climate comfortable even in the tropical heat. 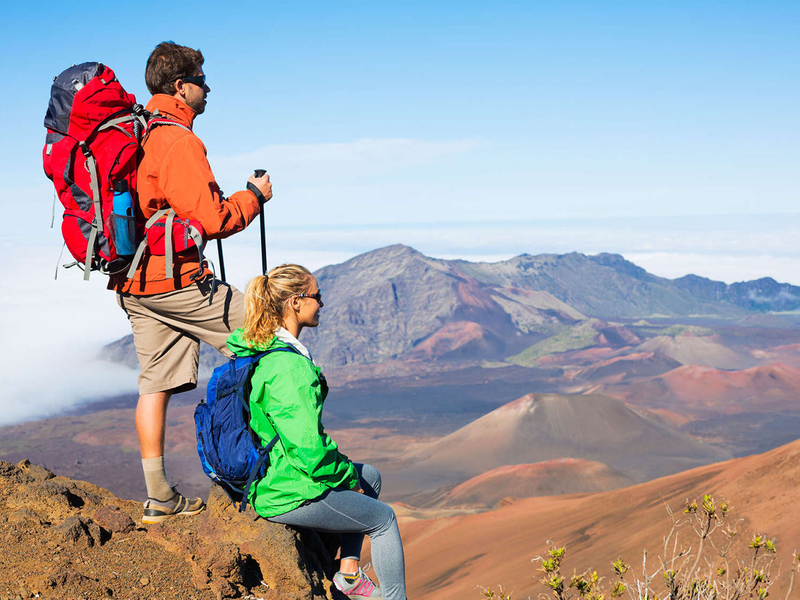 The real question you’re here for, though, is “in which season should I visit Hawaii?” Read on for your answer. Despite being green all year round, Hawaii does have seasons—and I’m not talking about tourist seasons this time. Hawaii only has two seasons: summer and winter. Summer in the islands is characterized by warmer temperatures ranging from 75 – 85 Fahrenheit, a fairly dry climate, and a calmer ocean. 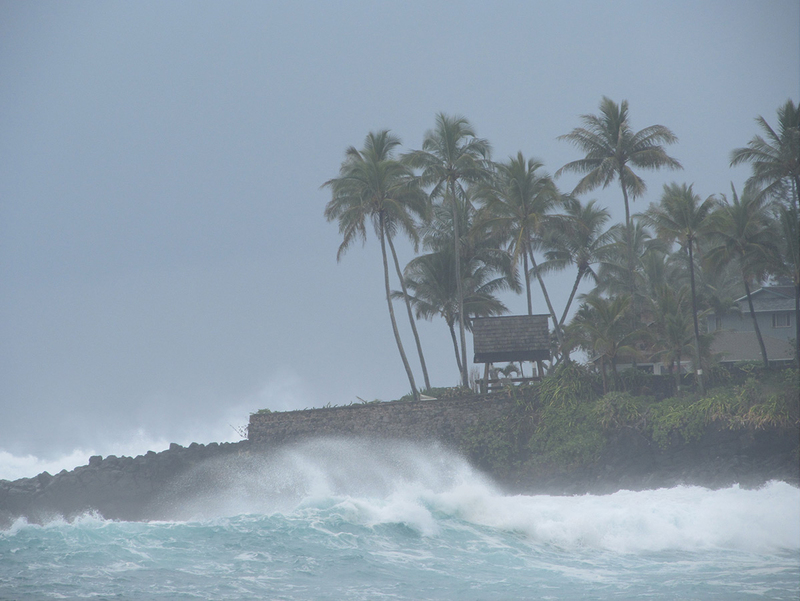 Winter in Hawaii is cooler (65 – 75°), wetter, and has a larger, rougher surf. The exception to the above is “hurricane season” in late August and early September, where the surrounding climate patterns create various tropical storms in the Pacific. Most of these storms dissipate or at least calm down before ever reaching the islands, causing nothing more than heavy rain for a day or two, but the last real hurricane to cause damage was Hurricane Iniki which hit Kauai in 1992. Otherwise, rainfall in the Hawaiian islands is largely localized due to the presence of steep mountain cliffs and deep valleys that trap clouds in one area. If you’ve already read our guide on what to do when it’s raining, you’ll know that one option is to simply drive somewhere else on the island to escape the weather. Possibly the biggest consideration when talking about seasons is rainfall. The wetter winter season causes the land to be more muddy, which you should think about if you plan to go hiking, ride an ATV, or any other activity where there will be dirt and mud. Even if it’s not raining, puddles and muddy terrain will abound in the winter, making some outdoor activities less pleasant than in the summer, even if it isn’t raining at the time. One last thing to think about is whale season. Humpback whales migrate to Hawaii in the winter months of December through April, creating awesome whale watching opportunities for anyone, whether on a boat or just looking out from the shore. 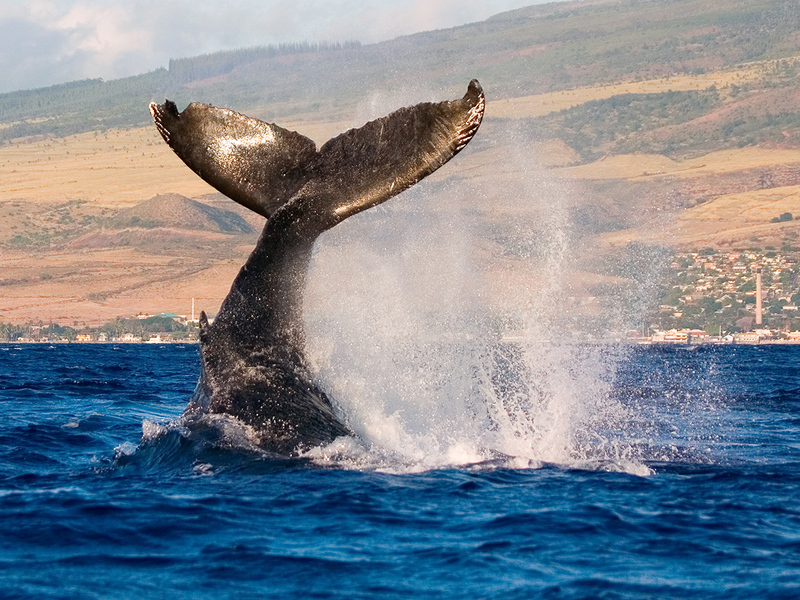 This only happens in the winter, and there are plenty of whale watching tours available at this time for visitors, with Maui being the most popular destination for it. At the end of the day, choosing a season to travel really depends on what best fits your schedule and whether you want to escape hot or cold weather. 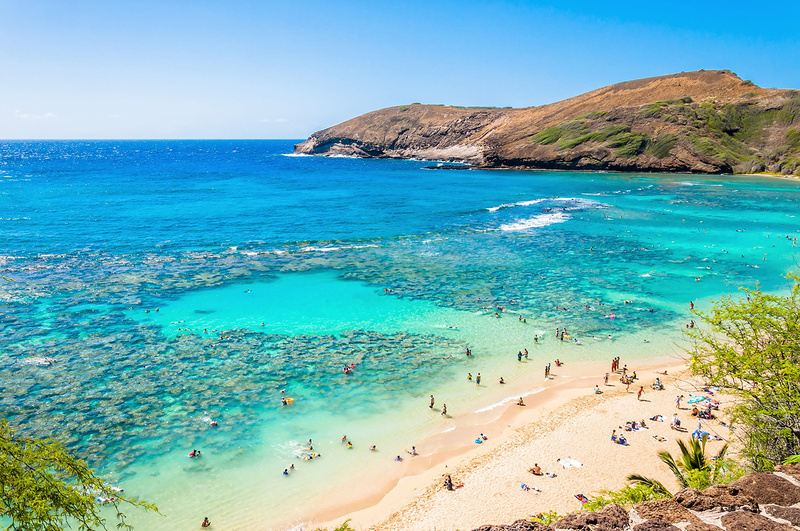 One of the biggest attractions in Hawaii is the ocean, and the climate definitely affects the water. As stated, the summer waves are fairly calm and the ocean is warm and pleasant to play in. Winter conditions, on the other hand, are what made the North Shore of Oahu the home of big wave surfing. So if you want to spend a relaxing day in the water, swimming, snorkeling, and maybe learning how to surf, you’re going to want to visit in the summer. If you’re here in the winter, though, don’t worry about it. While the northern beaches in Hawaii see large waves 9 feet and higher during the winter, wave conditions are strongly affected by the physical geography of the shore, so if you’re intimidated by large waves in one area, chances are you can find a more sheltered beach nearby. There are many bays and wave breaks around the island, whether natural or man made, so you can always find a calm beach to swim in no matter when you visit. One of the things about Hawaii that catches people off-guard is the sheer variety of climates you can experience just by driving around. The Big Island famously contains 8 out of the 11 Koppen climate zones of the world, from the snowy tundras of the Mauna Kea summit, to the voclanic desert of Kona, and the rainforests of Hilo. Trade winds hit the island from the northeast, bringing in cool breeze and rain clouds. As a result, the northeastern (or “windward”) side of each island is green and wet, lush from the consistent amount of rainfall year round. The southwest (“leeward”) sides, on the other hand, are generally much more dry, receiving less rainfall and cloud cover. However, some areas have their own localized weather patterns, such as Manoa Valley on Oahu that sees rainfall practically every day. In essence, where you are in the islands has almost as much of an effect on the climate as when you decide to visit. If you’re visiting in the winter, you might be worried that a t-shirt and shorts won’t cut it. If the idea of wearing shorts in 60-degree weather doesn’t perturb you, feel free to bring your summer clothes. For us normal people, pack long pants, something with sleeves, and even a light jacket. An exception to this is for anyone who would like to summit Mount Haleakala, Mauna Kea, or Mauna Loa. The tops of these mountains regularly drop below 50 degrees F and may even see snow in the coldest months. Pack warm if you’d like to visit any of these places, and especially if you want to go stargazing there. Otherwise, there’s little reason to pack heavy jackets or winter clothing—in fact, I recommend anyone to pack light. If you find it a bit too chilly, you can always pick up a light jacket while you’re here or just layer your clothes for extra warmth. Hawaii has a fairly mild climate that stays consistent all year round. The differences between summer and winter, while noticeable, aren’t significant enough to affect your vacation plans, so don’t worry about the weather—just bring your aloha spirit and you’ll be fine!